The aim of this document is to explain how authentication via an LDAP directory works. This feature means that one or more externalized connections are added in the ServiceNav application. 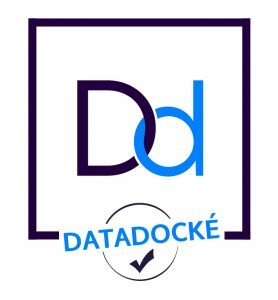 It is possible to define an LDAP directory for each company/site. Activating authentication via a directory is in addition to local authentication. Authentication with an LDAP directory requires communication between the ServiceNav monitoring platform and the LDAP directory. This feature is therefore not available on the ServiceNav SaaS platform. Click the ‘Yes’ radio button and complete the form.. 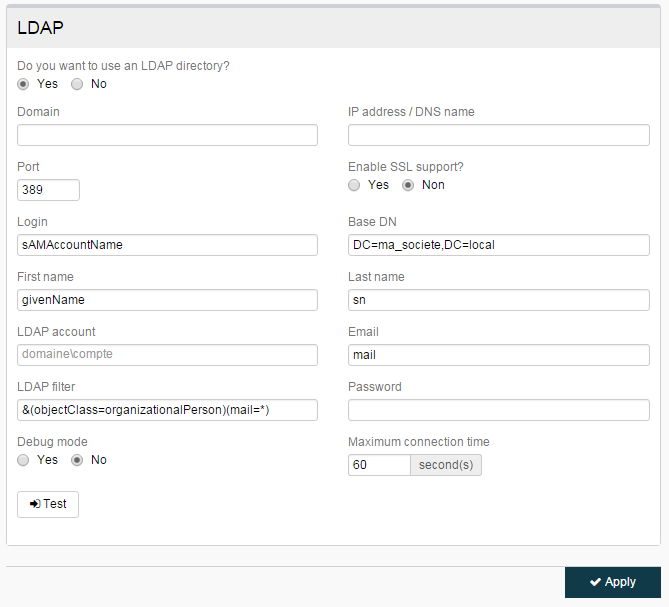 The connection to the server hosting the LDAP directory must then be configured. Domain: should be the same as the directory domain and will be used to create user accounts. The login will take the following form: <domain>\<login>. Enter the server IP address or DNS name. If you wish to use a secure connection and if the directory supports SSL, select Yes. Enter the number of the port the directory service listens on. Input the attributes for the LDAP directory user object. To see how these correspond to your directory, you will need to look at its configuration. The default values are those most commonly used. To connect to the directory you will need a user with read permissions. That user will then be used to find other users to add and for the connection test. LDAP filter: allows filtering of the results contained in the directory. It is predefined to filter users with an assigned email address. You can modify as required. Enter the maximum permitted time to wait to establish a connection to the directory. You can enable “debug” mode to change the feedback for output errors. Once all the settings have been input, click on the Test button.